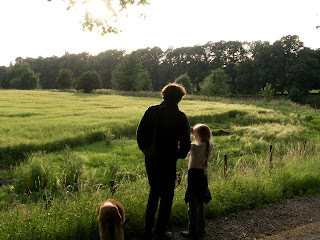 Ribbleside Green Belt SAVED! 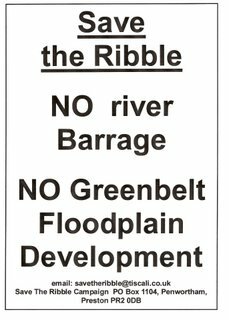 Alternative Ribble Vision Gets Green Light! 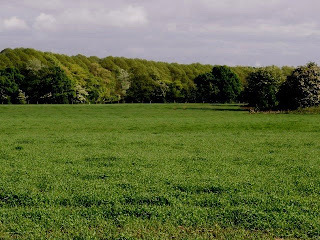 South Ribble Borough Council have announced that the Ribbleside Green Belt from Penwortham to Walton le Dale and back as far as Lostock Hall is to be designated a Country Park! Penwortham riverside, near the old Tram Bridge across the River Ribble - 5 minutes walk from Preston city centre! 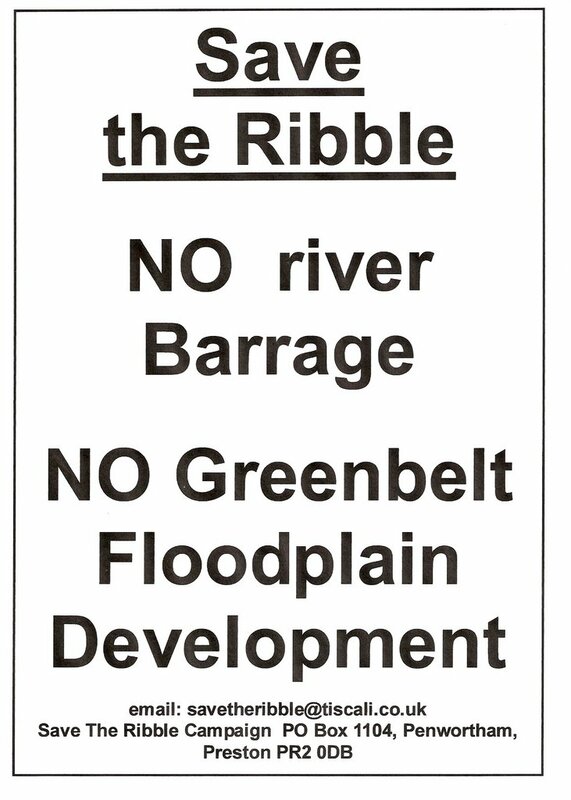 This announcement follows hard on the heels of South Ribble Borough Council's insistence earlier this week that the Ribble's riverbanks and Green Belt areas will be protected from development. South Ribble Borough Council have listened to the alternative ideas put forward by local people for the River Ribble and riverside Green spaces which involve protecting these unique and precious areas from disappearing for ever beneath the huge housing development, concrete walkways, roads, and businesses proposed as part of the Riverworks "Central Park" building development. Under the Preston City Council and Preston Vision Board "Riverworks" 'Central Park' scheme, a little over 1 hectare out of the 45 hectares of green space on the Penwortham side would have been reserved for open space and leisure, the rest would have been lost forever: including a huge 33 hectares which would have been lost beneath a massive housing scheme, with the remaining hectares divided up amongst commercial developments, concrete moorings, and such like. With South Ribble Borough Council's latest announcement, the entire green area will be preserved for the new South Ribble Country Park! 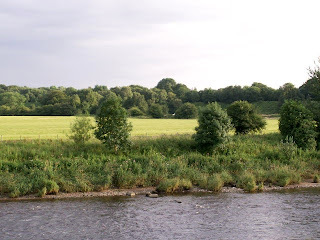 This is fantastic news for local people, ensuring our beautiful green spaces of meadows, woodlands, and riverbanks are protected from development both now and in the future, safeguards the future of our local sports pitches, wildlife and the environment - in particular helping to ensure the environmental sustainability of the River Ribble's wildlife ecosystem - and of course ensures that our vitally important floodplain is left undeveloped so it can carry on protecting local communities from more serious flooding. Since local people all along the Ribble corridor first heard about those two significant aspects of the Riverworks proposals which would have seen the riverside and Green spaces disappear forever beneath these huge building schemes, and the Ribble's unique intertidal ecosystem destroyed by a tidal barrage across the River Ribble, they have campaigned tirelessly for these ill-conceived schemes to be halted. 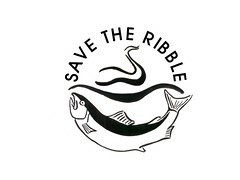 As part of this opposition, local residents have put forward alternative ideas which centre on protecting the Ribble's Internationally important intertidal habitat and the riverside green spaces, for the sake of the environment, and for the benefit of local people and visitors alike. With consistent arguments against the barrage from all quarters finally leading to the current administration of Preston City Council withdrawing the barrage scheme in the final weeks of 2007, the first phase of our campaign was achieved, to much local - and national - rejoicing. 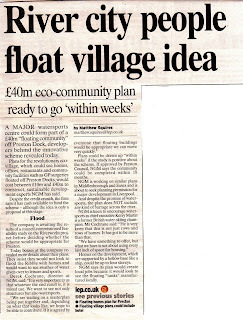 ...let's hope this Green Vision will now extend onto the Preston bank! Of course, a Ribbleside Country Park just 5 minutes walk from Preston city centre is not only fantastic for local communities both in Preston and South Ribble, but also for visitors, as this unique area can now become a part of Britain's newest Regional Park, Ribble Coast & Wetlands. The Ribble Coast & Wetlands Regional Park extends all along the intertidal Ribble from where the Ribble Estuary meets the Irish Sea at Blackpool and Lytham on the North shore and Southport and Formby on the South shore, and upriver for several miles into the centre of Preston and Penwortham and our newly-designated South Ribble Country Park and finishing at the new Brockholes Wetland, just East of Preston. "After all the controversy about a barrage on the river, housing development on the flood plain and a link road to relieve congestion, comes a council proposal for central Lancashire which should find favour with the vast majority [with] South Ribble want[ing] to create a large park which would... open up swathes of greenbelt land between Penwortham, Lostock Hall and Walton le Dale to the public". “This is tremendous news. I am so pleased… Congratulations! “…fantastic! thank you” J&M&M&B, Penwortham. “Thank you so much.. what good news!” CP, Penwortham. “This is very good news indeed. Congratulations to you and all those involved in this tireless campaign”. Save The Ribble would like to thank all local residents who have supported the campaign to Save Our Ribble and Green Spaces, and all the help and support we have received from professional bodies too: we are just ordinary people, local residents ourselves, who knew we could not just sit back and allow inappropriate developments which would destroy not just our local environment, but the wider environment upon which our wildlife ecosystems depend. Long Live the Ribble - and Ribbleside Green Belt - Wild! and about the damage barrages cause to wetland ecosystems here. Preston Councillor Jack Davenport is warning that Preston Vision Board and Preston Council's proposals for the River Ribble still seem intent upon building all over it. and proposals are due to be submitted for planning permission shortly for the construction of over 400 new houses plus businesses on the Penwortham bank at Vernon Carus. In this he echoes what local people have been saying for a number of years now, and Councillor Davenport is still very concerned that not only Preston Vision board but even Preston Council are avoiding democratic accountability. You can read more about his concerns here. Thanks to the efforts of local people, South Ribble Council saw the sense of our arguments and pulled back from the Riverworks Barrage and massive "Central Park" housing development scheme. 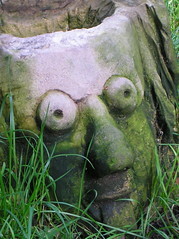 South Ribble Borough Council are also proving to be very interested indeed in the detailed and specific proposals that local people have made concerning their own Vision for the Ribble and its environs - a Vision for an enhanced natural environment and enhanced facilities for local people and visitors. "We have a clear vision for the South Bank of the river which is available for public enjoyment and relaxation. It does not include housing or office development - especially on green belt land. Preston City have accepted our vision." Jim Hothersall also makes it clear that "we would not support the barrage or any development on our green belt areas which would have a negative impact or encroach on the leisure amenities on the south side of the river".